Friendly, knowledgeable, and easy to book property and check in. Wonderful place to relax, have fun, and make memories. 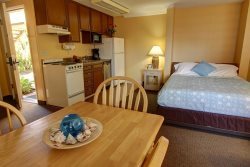 Overall a great lease process, cozy lodging, and a beautiful view. We had a great time and felt comfortable in this house. When the coffee maker quit the office quickly got us another one. Thank you for the nice service. We appreciated the winter special 3 nights for price of 2. Your company was great to book with on the phone. Would like to come back next year but rent a different property with a view. Hope you can be helpful. The only criticism is that the fireplace didn't draw very well. The wood may have been wet or the pieces too big to burn. Next time we will bring presto logs. We have rented with you repeatedly through the years and have always been impressed with CBVR's thoroughness and great service. You make renting a vacation home easy and we always know that everything will be taken care of. Thank you! Perfect personal care. Easy to use the web site. John and Susan were friendly and John even called housekeeping before we checked in to see if there was a large soup pot available. Our experience was delightful from start to finish! We were very impressed by the level of customer service and the quality of the property. We can't wait to return! CBVR honestly has the best customer service and nicest employees we have dealt with in our travels. Will definitely be back!